Anthony Gordon's superbly-taken 69th-minute equaliser saw the Toffees take a point from their Group B clash after the visitors had gone ahead just after half-time. The draw means Everton qualify for the last 16 of this competition with a game to spare. The Premier League 2 leaders host Sheffield United in their final group stage contest on Sunday 24 February. 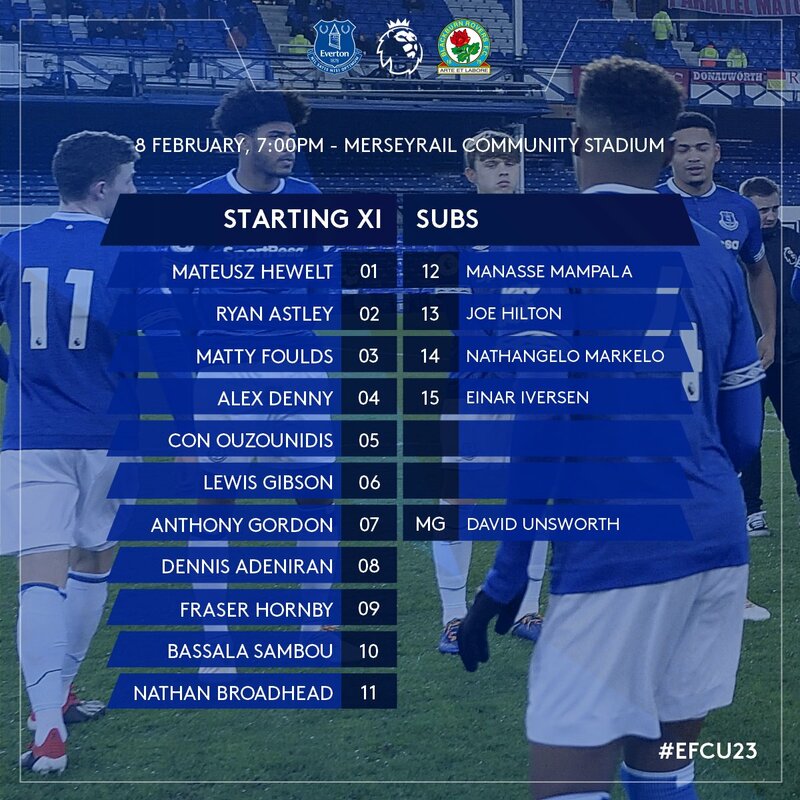 Everton U23s: Hewelt, Astley, Foulds, Denny (68' Mampala), Ouzounidis, Gibson, Gordon, Adeniran (56' Markelo), Hornby, Sambou, Broadhead. Subs not Used: Hilton, Iversen. The next game for Everton U23s is also against Blackburn Rovers but in Premier League 2, on Monday 18 February 2019, kick-off at 7:00 pm. The venue has not been announced. Some strange things... only four subs. And Iversen is the captain of the U18s. We have a huge list of players at this level, I can't believe there aren't more available. But I thought Joe Hilton went out on loan last month? To Marine... until the end of the season. Perhaps at this level they are allowed to be recalled for specific games? I thought Hilton had gone out on loan to Marine or do the usual rules not apply to juniors or non-league clubs? Sorry, Michael, didn't read yours before commenting.